The Cyberbullying Research Center is dedicated to providing up-to-date information about the nature, extent, causes, and consequences of cyberbullying among adolescents. Cyberbullying can be defined as “Willful and repeated harm inflicted through the use of computers, cell phones, and other electronic devices.” It is also known as “cyber bullying,” “electronic bullying,” “e-bullying,” “sms bullying,” “mobile bullying,” “online bullying,” “digital bullying,” or “Internet bullying.” The Center also explores other adolescent behaviors online including sexting, social media misuse, digital dating abuse, and issues related to digital citizenship, resilience, empathy, school climate, and more. This website serves as a clearinghouse of information concerning the ways adolescents use and misuse technology. It is intended to be a resource for parents, educators, mental health professionals, law enforcement officers, counselors, and others who work with youth (as well as for youth themselves!). Here you will find facts, figures, and detailed stories from those who have been directly impacted by online aggression. In addition, the site includes numerous resources to help you prevent and respond to cyberbullying incidents. All of the information on this site is informed by over fifteen years of research. 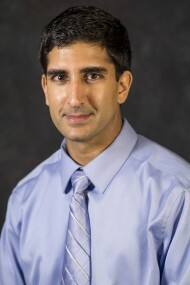 The Cyberbullying Research Center is directed by Dr. Sameer Hinduja (Florida Atlantic University) and Dr. Justin W. Patchin (University of Wisconsin-Eau Claire). They have been studying cyberbullying since 2002 and first launched this web site in 2005. They founded the Center as a means to further their mission of bringing sound research about cyberbullying to those who can benefit most from it. Dr. Patchin is a Professor of Criminal Justice in the Department of Political Science at the University of Wisconsin-Eau Claire. He received his Ph.D. and M.S. in Criminal Justice from Michigan State University and his B.S. in Sociology with an emphasis in Criminal Justice from the University of Wisconsin-Superior. 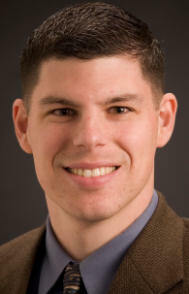 Learn more about Dr. Patchin here. Dr. Hinduja is a Professor in the School of Criminology and Criminal Justice at Florida Atlantic University. He received his Ph.D. and M.S. in Criminal Justice from Michigan State University (focus area: computer crime) and his B.S. in Criminal Justice (minor in legal studies) from the University of Central Florida Honors College. Learn more about Dr. Hinduja here. Together, Dr. Hinduja and Dr. Patchin have written seven books and numerous articles in professional and academic publications and have presented nationally and internationally to hundreds of thousands of educators on the topics of cyberbullying, sexting, and other forms of teen technology use and misuse. Their research has involved data from nearly 20,000 youth regarding their experiences with cyberbullying offending and victimization. Their work has been featured in many national and international news programs and outlets. They are currently partnering with school administrators at a number of different districts to explore the nature of traditional and online victimization among their student body. In addition, they give presentations to thousands of educators, counselors, law enforcement, parents, and youth every year on how to prevent and address the school-based consequences of cyberbullying. Finally, they have served as an expert witness and consulted with attorneys on cases involving cyberbullying. If you would like copies of their papers or to inquire about their current projects and partnerships, please contact them.